Over Memorial Day Weekend, Kyle and I attended a wedding in Kansas City, Kansas. It was a very fun wedding and get-away weekend for us (just after our 5th wedding anniversary! ), though we were not frugal about the trip. It’s amazing for me to contrast how little effort we put into taking this trip frugally in comparison to when we went to Chicago for another wedding three years ago. We definitely could have been more creative in trying to spend less, like some of our friends who also attended the wedding who are currently in grad school, and in retrospect I wish we had tried harder. How much we spent on this trip was really a result of our financial ennui and lack of ability to plan well while we were living apart (e.g., we waited to book our tickets until I moved back to Durham). We didn’t pack this trip as full of activities as we have in the past, like when we went to Toronto – it was more about hanging out with other wedding guests and eating Kansas City BBQ! We stayed in the hotel recommended by the bride and groom because it was the simplest choice and there were two extra wedding weekend events that occurred at the hotel. It was certainly nice and comfortable! The room rate for the wedding block of rooms included a breakfast buffet each morning and wifi ($251.76). 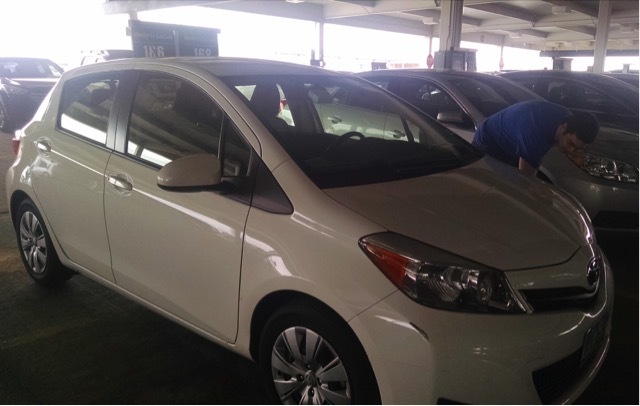 We had a round-trip flight from Durham to Kansas and rented a car while we were there. We did spend more on the flight than I was expecting ($800.40), but that was probably because we booked only about 4 weeks in advance and it was Memorial Day weekend. We bid on a car through Priceline so I think we got a fine price for an economy car through a major rental agency ($67.15). We ended up with a Yaris, which holds a special place in my heart because it is the successor to the car model that I own, a Toyota Echo. Because it is a fuel-efficient car, we ended up spending only $10.25 on gas for the three days. We also paid for parking at RDU ($18 for 3 days). Aside from the wedding itself, the food was definitely the highlight of the trip. 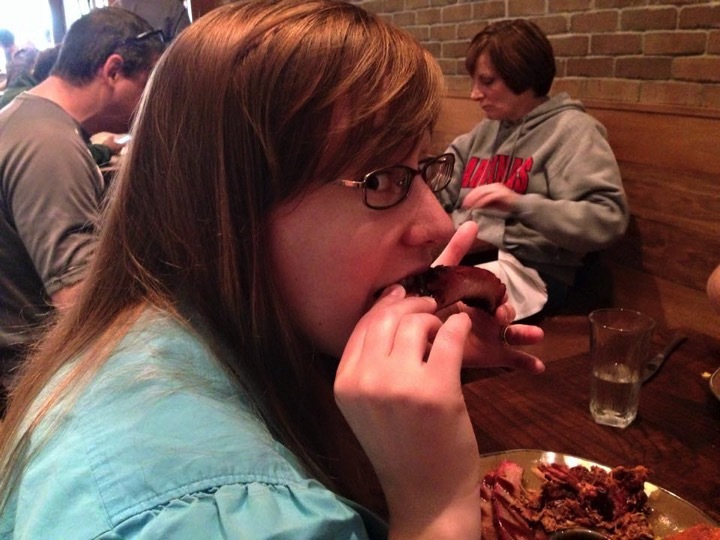 As we’ve learned a lot about BBQ since we’ve been living in North Carolina, we were excited to try Kansas City BBQ. We went three places recommended by locals. I liked the food quite a bit at two of the places, but Kyle wasn’t blown away. It was interesting to see not only the difference in the meat types and sauce, which we expected, but also the difference in price (we spent WAY more on meals than we do in Durham for BBQ (selection bias?)) and side dishes (more limited selection in KC). We ate breakfast before we went to the airport. In the late afternoon, we ate at Arthur Bryant’s, which was definitely our best meal of the weekend ($26.10). We ordered a beef sandwich with fries and a burnt ends sandwich with beans. We also ate a ton of dessert at a pre-wedding dessert reception at the hotel. We used our breakfast vouchers to eat at the hotel buffet. We went out to lunch at Q39 with some friends and ate ribs, pulled pork, fries, beans, and cornbread ($40). The ribs really stood out as amazing. The wedding reception provided us with dinner and dessert. 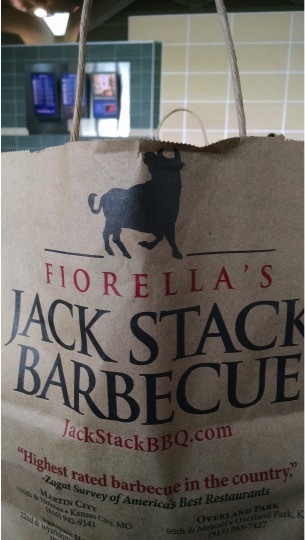 We partook in the breakfast buffet again as part of a post-wedding brunch, then picked up take-out from Jack Stack’s for a late lunch at the airport ($22.87). 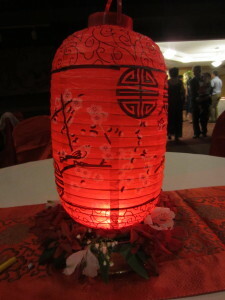 We had an awesome time at the wedding on Sunday evening – it was a wonderful ceremony and very fun reception. For the gift, we spent $80 on items from the couple’s HoneyFund (in keeping with our wedding gift policy). Our lovely weekend went awry right at the end, causing us to spend even more than we had anticipated. There was rain and flooding in Texas, which was where our layover was. American Airlines cancelled the second leg of our trip and then lied to us about re-booking us on a flight later on Monday evening. We ended up spending the night in Dallas and flew out early Tuesday morning. We slept in the airport (they did provide cots and blankets) and spent an extra $35.70 on a meal (split between dinner and breakfast) and $6 for an extra day of parking at RDU. * credit to C @ The Single Dollar for the term! 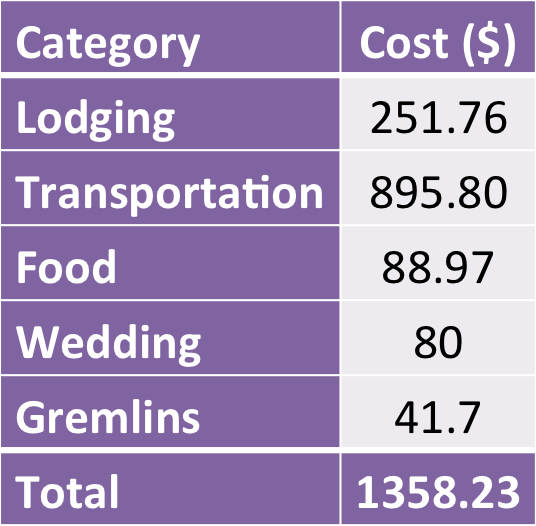 The total price tag for this weekend was $1358.23! Yikes! Like I said, this was an anti-frugal weekend – flying, staying a hotel, eating out at expensive places! In keeping with my new attitude, I don’t think we’ll take a trip like this again for quite some time in terms of the lack of effort we put into making it frugal. 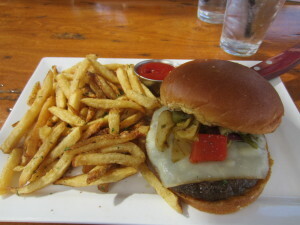 Have you been to Kansas City and if so what did you do there? 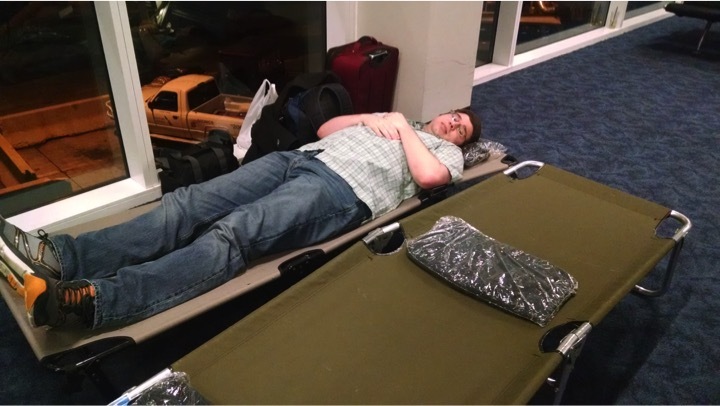 Have you ever slept in an airport? What’s your favorite kind of BBQ? 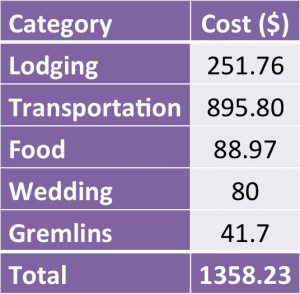 5 Responses to "Mini-Vacation Financials: Wedding in Kansas"
Have you ever considered the Southwest Companion pass? It’s basically a BOGO flights on Southwest deal, good for up to 2 years depending on how you time it. That’s really a frugal trip Emily. What items did you have for the wedding gifts? We bought the couple two nights’ lodging on their honeymoon.